The C-Notes won First Place Gold in their division at the Heritage Festival in San Diego this past weekend! They also won the Adjudicators Trophy for top scores by the judges. 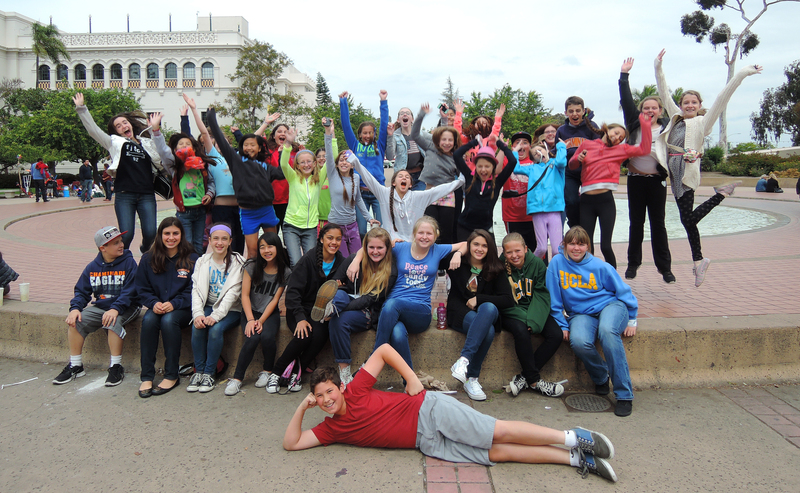 The C-Notes enjoyed the Science Museum, IMAX theatre, Shopping and dinner in Old Town San Diego the day before the performance. The competition took place at Del Norte High School in San Diego on Saturday, April 5. The C-Notes enjoyed the sights at Sea World after the performance, followed by festival dinner and awards ceremony. More than 1,100 students took part in the Heritage festival from California, Arizona and Oklahoma. The C-Notes are now eligible to perform at the National Children’s/Middle School Festival at Carnegie Hall on March 22, 2015. They will audition in September by DVD submission against “Gold” choir from across the USA to be the “Feature Group” at this performance. This entry was posted in C-Notes, Choir, Middle School, Perfoming Arts by Chaminade News. Bookmark the permalink.